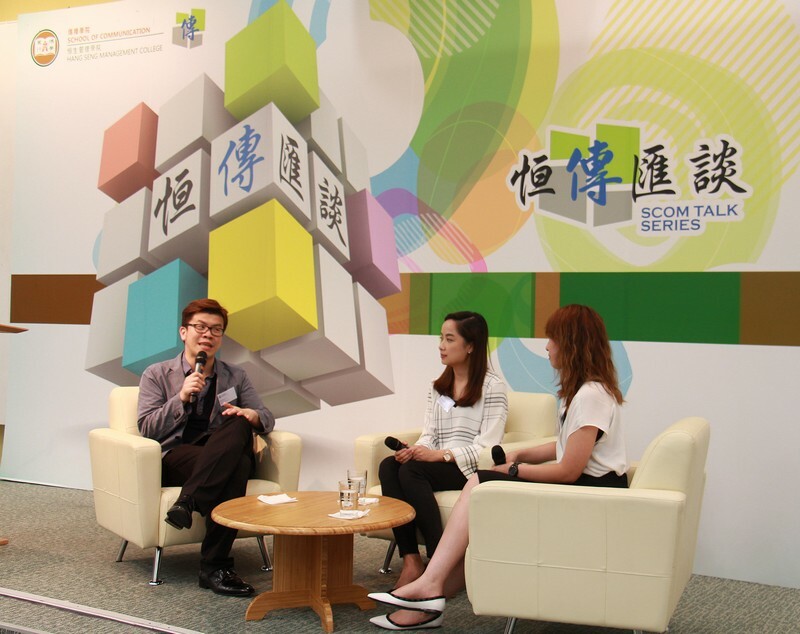 Two awardees of the HSMC Business Journalism Awards 2015/16, Ms Lee Tsz Fan, Business Reporter of the Year, and Ms Choi Hiu Ching, Young Business Reporter of the Year, gave talks in the SCOM Talk Series 32 on 11 Apr 2018. 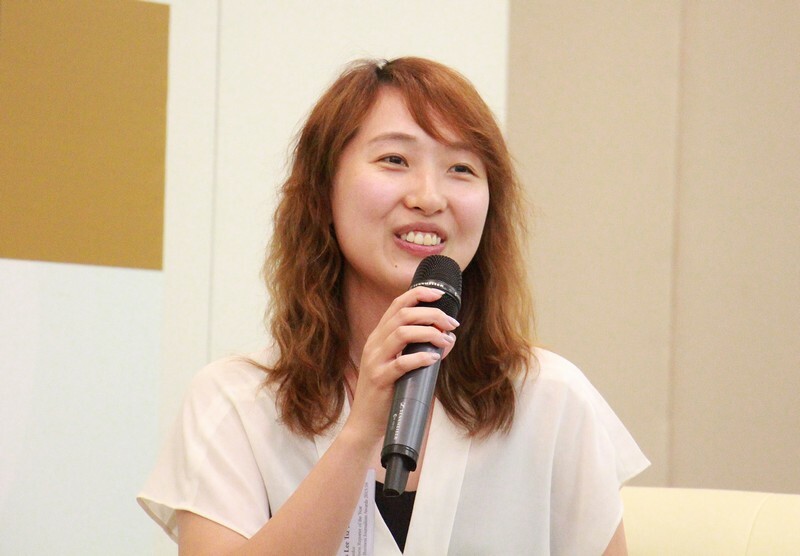 The two speakers shared their experience as financial reporters and encouraged students to embrace new attempts. During the Q&A session, questions were raised by the students who actively sought tips on how to become a good reporter. The participants, who were deeply inspired by their sharing, gained a deeper understanding of the practice of the media. 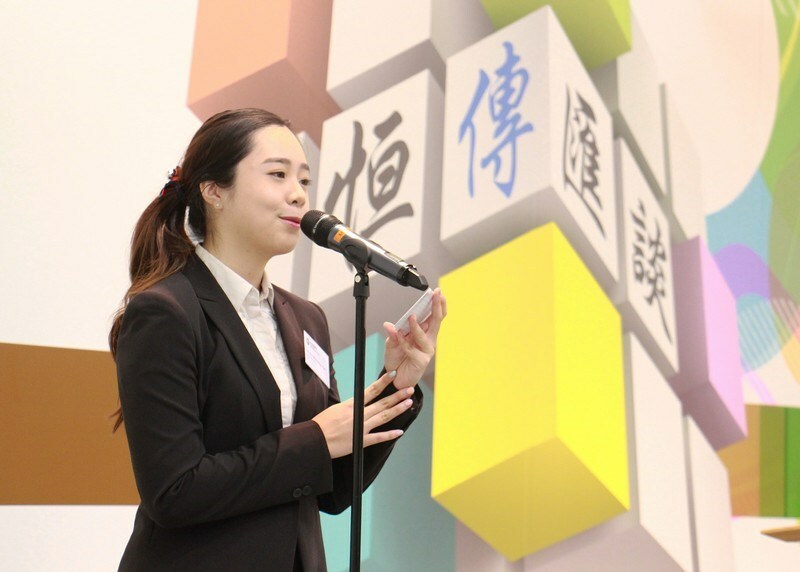 Ms Ho Hing Wah, Tiffany, BJC Year 4 student, was the MC of the talk. 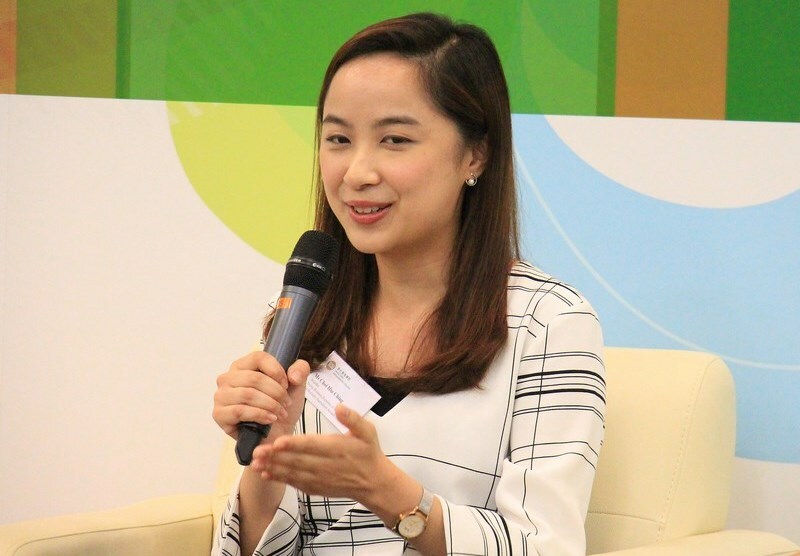 Ms Choi Hiu Ching, awardee of the Young Business Reporter of the Year, shared her experience as a financial reporter. 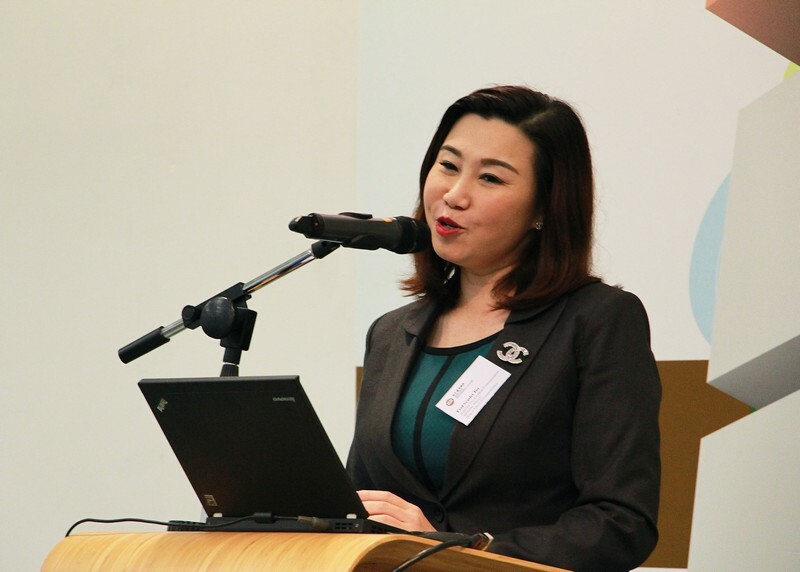 Ms Lee Tsz Fan, awardee of the Business Reporter of the Year, encouraged the students to embrace new attempts. 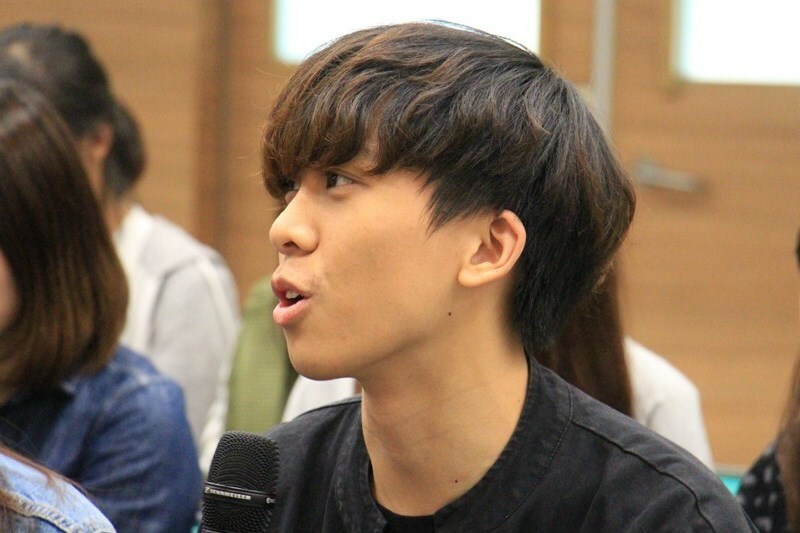 Mr Brian So, Senior Lecturer of School of Communication, was moderator of Q&A session. 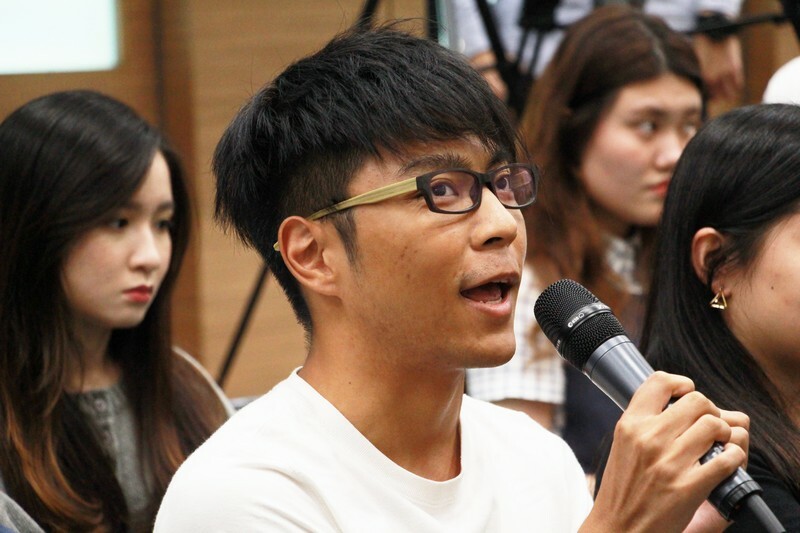 Students of School of Communication raised questions.